Pathology plays a key role in patient care through disease diagnosis and management. Pathologists, institutions, and community-based clinicians across the country and across the world have relied on Cleveland Clinic Laboratories for decades to deliver world-class, comprehensive anatomic pathology and hematopathology services in addition to clinical laboratory testing. 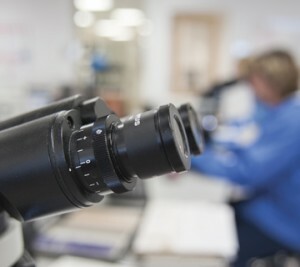 The same staff of more than 60 anatomic pathologists that provides diagnostic interpretations for Cleveland Clinic patients also provides the same diagnostic services for Cleveland Clinic Laboratories clients by utilizing a subspecialty expert sign-out system and state-of-the-art technology. Currently, our subspecialty pathologists interpret more than 175,000 surgical pathology cases and 90,000 cytology specimens annually, including over 22,000 non-gynecologic specimens. Specimens submitted to Cleveland Clinic Laboratories are triaged to one of 14 subspecialty teams comprised of nationally- and internationally-renowned pathologists. Each of our staff members possesses high levels of diagnostic expertise in their specific field of pathology. 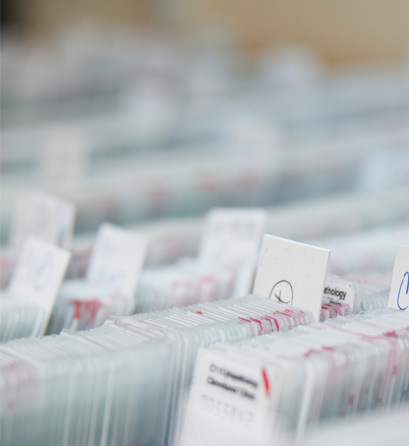 Our pathology department provides clients with superior quality consults and rapid turnaround times while administering focused attention to each case. Cleveland Clinic pathologists are highly accomplished and widely recognized for their clinical and diagnostic expertise in their subspecialties. Our staff includes nationally- and internationally-recognized experts in their fields, who often are invited as guest lecturers throughout the world. Many of our pathologists have attained leadership positions in their national professional societies and are widely recognized for their contributions to research and advancements in diagnostic pathology. Cleveland Clinic Laboratories uses the latest technology in high-resolution digital scanning and web-based viewing platforms to supplement conventional surgical pathology consultation diagnostic services. All ePathology cases submitted to Cleveland Clinic Laboratories are triaged to our subspecialty teams comprised of the same experienced, specialty-trained anatomic pathologists who provide the diagnostic services for Cleveland Clinic patients. For consultation clients who seek immunohistochemical stains without interpretation, Cleveland Clinic Laboratories also offers eIHC services. 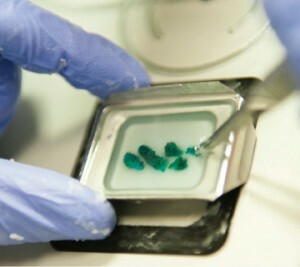 Research and development is an important activity of our laboratories. We strive to develop new tests to better diagnose disease and manage patients. Translational research efforts span a wide variety of activities and include predictive and prognostic biomarker development, clinical trials, correlative science, and new assay development funded through governmental and non-governmental sources. Our collaborators include local, national, and international partners. Cleveland Clinic Laboratories is committed to providing world-class anatomic pathology services with timely turnaround to meet the needs of the referring physician.